Why is Croatia an Attractive Country for Investors? Foreigners in Croatia have several ways of doing business and set up companies, among which a branch is a representative one. The registration process of a branch in Croatia is easy, with less bureaucracy and fewer formalities. Investors in Croatia can benefit from the company formation services offered by our team of company formation agents in Croatia who can also handle the requirements for establishing a branch in this country. What is a branch in Croatia? • the branch needs to respect the rules and regulations of the Croatian Companies Act. How can I register a branch in Croatia? • the name and details of the branch’s appointed representative in Croatia. The documents containing information about the registration date of the parent company, the decision of incorporating a branch, the articles of association or the memorandum of association of the foreign company, the previous year’s balance sheet of the parent company need to be translated into Croatian. 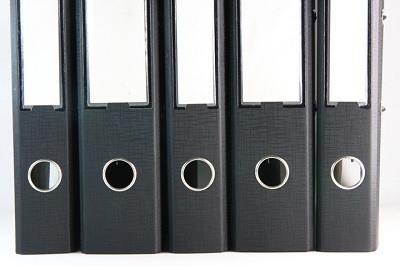 The above -mentioned documents must be deposit at the Croatian Chamber of Commerce. Any action performed by the branch before registration is considered void. Can I open more than just one branch in Croatia? Yes, if a foreign company decides to open more than one branch in Croatia, it must apply for registration for each one of them and it has the obligation to nominate a representative in each of these branches. In special circumstances, the same person may be nominated for all these branches. The Croatian Accounting Act and the International Accounting Standards stipulate that the branches must keep records of the financial transactions, just like other registered companies in Croatia. Also, a bank account must be opened in order to perform financial operations and to deposit the initial capital. It’s the foreign company’s responsibility to open these bank accounts. What are the obligations of a branch in Croatia? Regardless of the operations involved in a branch, such entity will have to comply with the requirements imposed by the Commercial Code and the Company Act in Croatia. We remind that the local legislation presents the same rights for both domestic and foreign investors who decide for business in Croatia, whether it is a branch or a subsidiary. Being a legal entity, a branch is obliged to file the annual financial statements and report all the financial operations within a year of business. In this matter, the parent company can sustain the entire process of creating the annual financial statements, in respect to the applicable legislation. You can benefit from complete accounting services from our team of company formation agents in Croatia experienced in accounting matters for firms. Payroll, bookkeeping, and annual financial statements are among the accounting services you can receive from our team of experts if you are interested in externalizing such services. What are the differences between branches and subsidiaries in Croatia? A branch is fully dependable on the foreign company, compared to subsidiaries which are independent legal entities in Croatia. In other words, the parent company is liable for the obligations and debts encountered by a registered branch in Croatia. A subsidiary, on the other hand, is completely liable for the gains and losses in the firm. As for the mutual advantage of such entities, we mention that the registration process is subject to fewer formalities and it respects the same rules and regulations as for opening a company in Croatia (LLC, joint stock, sole proprietorship). Among the benefits of branches in Croatia, we mention that the operations can be established in a wide range of prolific business sectors, among which the banking field is a very important one. Also, it is good to know that the registered losses of a branch in Croatia can be compensated by the profits of other similar branches established in other countries. As for the profits of branches in Croatia, these can be reinvested in the company’s’ equipment or in any other field of interest. A branch is subject to lower incorporation costs compared to a subsidiary established in Croatia. Due to the double taxation agreements signed by Croatia with countries worldwide, a branch is exempt from paying the taxes twice. Moreover, branches in Croatia are controlled by the parent company in all the activities developed in the foreign country. 1. How fast can I register a branch in Croatia? The registration process is the same as for a normal company if all the requirements about the needed documents are properly prepared and submitted to the authorities in charge. 2. Do I need a registered office for my branch? Yes, the registered business office will represent the branch’s main office in Croatia. 3. Can I register more than just one branch in Croatia? Yes, foreign companies can establish more than just one branch in Croatia, as long as it appoints one of them as the main branch. 4. Where do I submit the documents for the branch in Croatia? The Croatian Chamber of Commerce is the institution that solicits all the necessary documents for opening a branch. If the documents are in the right order, the Chamber of Commerce in Croatia will issue the necessary approvals for establishing the branch. 5. Do I need a representative agent for my branch? Yes, a branch cannot be formed without appointing a representative agent with residency in Croatia. We remind that you can also talk to our specialists in company formation who can also represent your branch office in Croatia. 6. Is a branch an independent legal entity? No, a branch is not an independent legal entity like a subsidiary is. The parent company is fully liable for the operations and activities of a branch in Croatia. 7. Who can open branches in Croatia? All foreign companies who decide for Croatia as the proper business climate for their affairs can establish branches in this country. Such an entity can be registered in complete agreement with the provisions of the most important set of laws in Croatia: the Company Act and the Commercial Code. 8. Is it necessary for a board of managers in a branch? No, a director is sufficient for establishing a branch in Croatia. The manager will be appointed by the owners and will have a series of business activities in the company. 9. How long does it take to open a branch in Croatia? Approximately one week is necessary for registering and opening a branch in Croatia. Feel free to address to our team of company formation agents in Croatia and find out more about the necessary documents for opening a branch or a subsidiary in Croatia. 10. Can the branch perform other activities than the ones of the parent company? No, a branch cannot develop other operations than the ones imposed by the foreign company. We remind that all the activities are mentioned by the documents of the newly-established branch in Croatia. For more details about setting up a branch in Croatia, you may contact our specialists in company formation in Croatia. 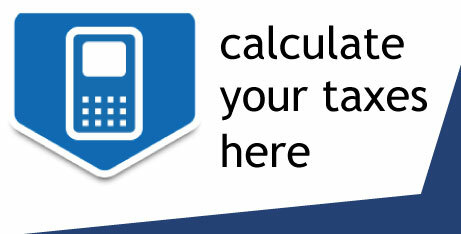 Call us now at +385 95 9981 628 to set up an appointment with our consultants in Zagreb, Croatia. Alternatively you can incorporate your company without traveling to Croatia. As a Law Firm Ivan Župan client, you will benefit from the joint expertize of local lawyers and international consultants. 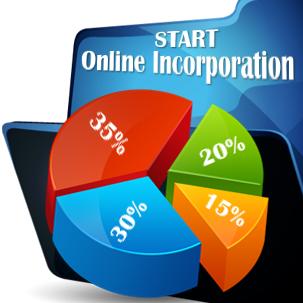 Together we will be able to offer you the specialized help you require for your business start-up in Croatia. Copyright © 2011 - 2019 Company Formation Croatia. All rights reserved.